Today has been a fairly productive day – and by that, I mean a day devoted to practising and learning the Walton concerto. It’s strange that conceptions of ‘work’ can vary so widely: in academia, work means writing/research/reading (what I did for my undergrad degree, in social anthropology at the University of St Andrews), but in the music profession, ‘work’ means practising a piece, either on your own or in a group, or listening to it with a score, or working out fingerings or bowings, or teaching, or any other activity that musicians carry out on a daily basis. Writing and research comes into it, of course (I have to write programme notes for my recital in may, so I have been doing some online research on the Walton), but this is not the bread and butter of what musicians do. I am still getting used to this new conception of work, after 4 years of studying for a very theoretical degree – now I can say things like, ‘I’m off to do some work’, by which I mean viola practice, whereas when I was studying anthropology, my tutors would have frowned at me in vague confusion if I had told them I had to ‘work’ on a piece of music. 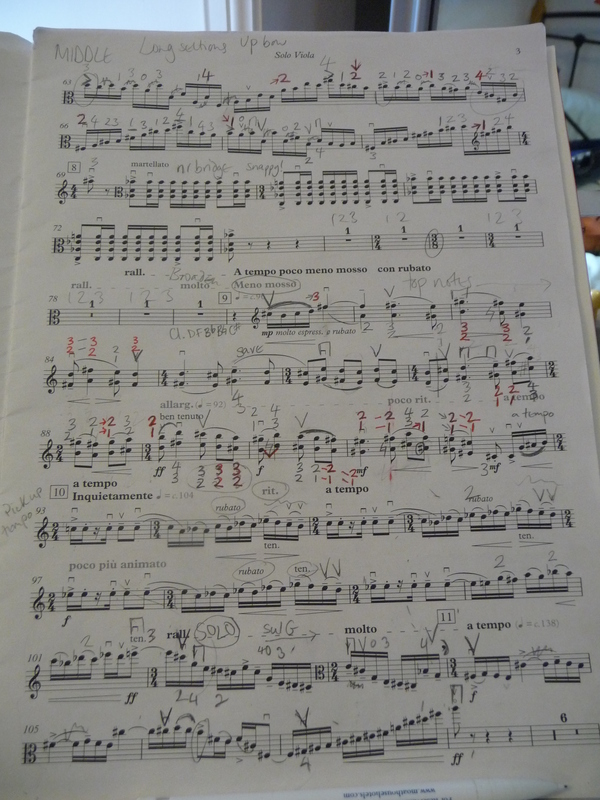 This entry was posted in philosophy of practice, RSAMD, viola playing on March 1, 2011 by jesswyatt. This quotation explores how reflection is not just an aim in itself, but actually helps us to improve our practice – a kind of self commentary giving us feedback on ourselves. Hopefully I will find that reflection on not only my community work but also on aspects of my viola playing will help me confront issues and overcome them. This entry was posted in philosophy of practice on October 12, 2010 by jesswyatt.